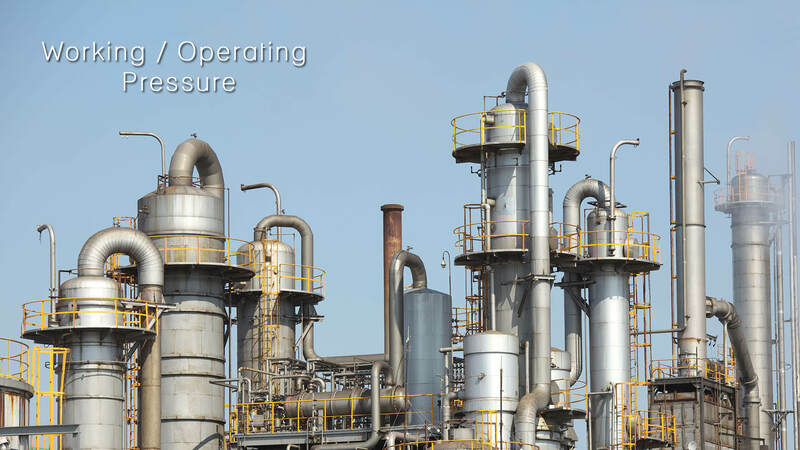 Definition- What does Operating Pressure means? Operating pressure is the pressure at the exact operating point which is used to specify normal operation for the valves, actuators and rest devices. It’s also called as the system pressure at which a process operates safely. For any pressurized system, safe operating pressure is the highest allowable operating pressure known as MAOP. Which stands to the wall strength of a pressurized cylinder such as pipeline either storage tank, and what amount of pressure the wall may hold in normal operation. When, the MAOP is less than the maximum allowable working pressure (MAWP), which is the highest pressure based on design code which is the weakest component of a pressure vessel can handle. Operating pressure is known as the standard level of pressure a system operates under, usually within a nearly small range of tolerances. Most of the systems varying from refinery to space suits are created to cater under pressure and not to function when there’s no pressure. Generally, if the pressure is very low, the system can’t functioning and when its high, there’s a risk of explosion, as the parts can’t tolerate the high pressure. A gauge represents the current pressure on most pressurized systems. It often highlights operating pressure in green to show when the system has enough pressure to be operational. Less pressure may be yellow, indicating that either the system is not pressurized yet, or there is a problem of some kind preventing full pressure, like a leak or a shortage of gas. The high pressure zone is often highlighted in red and alarms may illuminate when it passed a certain level. Pressure can be controlled in a system by various ways, including using different ways to charge the system to bring it to full pressure, and controlling the flow of pressure with valves. The system is created to reach and manage operating pressure unless there is a problem. Relief valves and other safety measures are used to prevent catastrophic system failures. If a system is in a order over or under pressurized, this can affect to malfunctions. It is also a sign of an underlying issue which needs to be addressed, and it should be measured to learn more about the malfunction. Operating pressure can vary depending on temperature and altitude. The author reserved rights to publisher & copyrights.